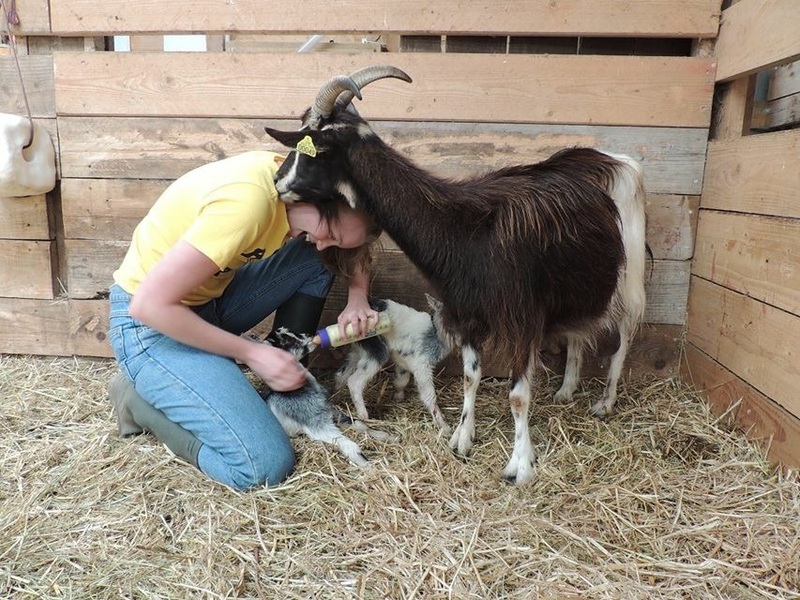 After almost two weeks at the farm, I’m exhausted but happy, spending my days caring for and milking goats, bottle feeding the kids, and working in the lab. Marisa has been teaching me a lot already about cheesemaking, and it’s all a lot easier to understand this time, now that my French is up to snuff. I’ve been making a lot of fresh fromage de chèvre, fromage blanc (similar to yogurt but fresher), faiselle (basically curd that has been lightly drained, eaten very fresh), and watching as Marisa forms the beautiful rounds of buffalo mozzarella. The other day I was spooning whey in to molds with Marisa in the lab, putting the same amount in each mold as I had the day before. She stopped me and told me I only needed about half as much whey for each cheese, because the whey was different today. I asked how she could tell and responded, ‘I can’t explain it, but I just know.’ She told me that the whey was different today because the milk was different. The milk could change because it rained and got colder, or because the goats had eaten a bit less that day, or for some reason we didn’t quite know. This concept of the milk changing is bizarre, but it is also the root of any good cheese. Quality milk is one of the most important parts of producing good flavor in cheese, particularly in fresh, unpasteurized cheeses like Marisa’s frais fromage de chèvre. However, quality milk is a lot of work, and every detail counts–you need to take very good care of your animals, your barn, your milking equipment, and your lab. If your animals aren’t doing well, or your milking room isn’t clean, or any other small part of the process changes, your cheese will suffer. It is also crucial to have this understanding of how the milk changes from day to day, something that still eludes me. It takes years of working with the milk to know when the curd is going to act differently, and how to compensate. Marisa is somewhat of a cheese wizard in her command of the milk. The second something is a little different, she knows how to fix it so that her cheese isn’t affected. That mastery of the milk is truly the mark of an accomplished cheesemaker.